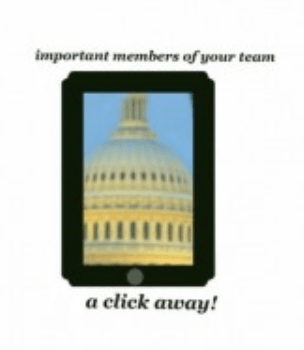 Do you know who your lawmakers are? To anyone who has an illness, and especially families dealing with Cystic Fibrosis; it matters that you know your lawmakers. Everything (Medicare/Medicaid/SSDI, Commercial Insurance, Premium Rates etc) about healthcare is connected to politicians. Legislative Districts (each state has its own assembly/legislature and senate). Those two create laws/statutes: Federal and State. Both types of districts are numbered and not usually the same number. Locally, everyone has a municipal form of government and some also have county forms of government. These government agencies create ordinances and regulations which may or may not have the force of law. Locally you should know your Mayor/First Selectperson/Council President. You should know your council members, or alder people, or freeholders. Your municipal and county clerks are the go-to people for knowing all of the above and how to get things done. Any information to any of the above must be objectively documented (not heresay). Funding Laws for Research: NIH (National Institutes of Health) run presently by Francis Collins, MD, PhD who discovered the CFTR gene! Literally changing the course of history for survival. So and so won’t provide medical transportation for me. Who and when did you ask? Every question can start with your municipal clerk (can be found at your state.gov site) and then get referred to the right place for municipal or county services. Will the state pay for my Orkambi through Medicaid? Example: How do I qualify for SSDI, undocumented persons needing medical services. The state and federal.gov representative sites will list all the bills currently being considered by that body of representation. From Alabama.gov to Wyoming.gov. 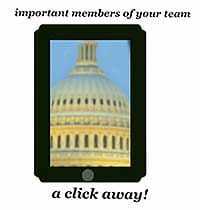 Search here for your local, state and federal representatives, introduce yourself, tell them about CF, and welcome them to your team! Written by: Imogene on March 14, 2016.